- Eight departments (Haute Savoie, Savoie, Isère, Ain, Drôme, Rhône, Loire and Ardèche). - an area, a demography and an economy representing approximately a tenth of France. - two National Parks: Vanoise and Ecrins. - six Regional Parks: Vercors, Pilat, Chartreuse, Haut-Jura, Bauges, Monts d'Ardèche. - the highest summit in Europe: Mont Blanc, at 4,808m. - three of the five largest lakes in France: Geneva, Bourget and Annecy. - the largest skiing area in France: 3 Vallées, Portes du Soleil, Paradiski? - more than sixty golf courses, making it the second most important region in this respect. - the 'Bouchons', 'mères lyonnaises' and gastronomy of the mountains. - landscapes including high mountains, vineyards, valleys, flood plains and fields of olive trees and lavender. What's missing from this region of superlatives? Maybe just a seaside? It is hard to believe that just one region can have so many different landscapes, activities and atmospheres; basically there is something for everyone. Whether you want to go for a walk, practise some outdoor sports or just take in the fresh air, nature is everywhere. Fans big and small of fauna and flora will be delighted with the Pays de Gex and Valserine Nature Reserve, Écrins National Park, Pilat Regional Natural Park, Monts d'Ardèche Natural Park, Vercors Regional Natural Park, Contaminate-Montjoie Nature Reserve and the Grand Parc de Miribel-Jonage, which is one of the largest peri-urban parks in Europe. The 19-mile canyon that makes up the Ardèche Gorges is paradise for thrill-seekers and fans of whitewater sports, whereas Mont Blanc will delight fans of the mountains, both in summer and winter. For a more relaxed and cultural holiday, the region's heritage is vast and plentiful. The caves of Chauvet and Orgnac, the ancient city of Alba la Romaine (with its ancient theatre, its old villas and its statuary), the Royal Monastery of Brou and Mazan Abbey (a national heritage site) will take you back to another time. As for tourism in the cities and towns, they are full of architecture and regional culture just waiting to be discovered, such as Grenoble with its Notre-Dame Cathedral, Saint-Claire Square, fortress of Bastille, Grenette Square and Jardin de Ville; Montélimar with its Old Town, its Château des Adhémar and its Nougat Museum; and Lyon for its gastronomy. 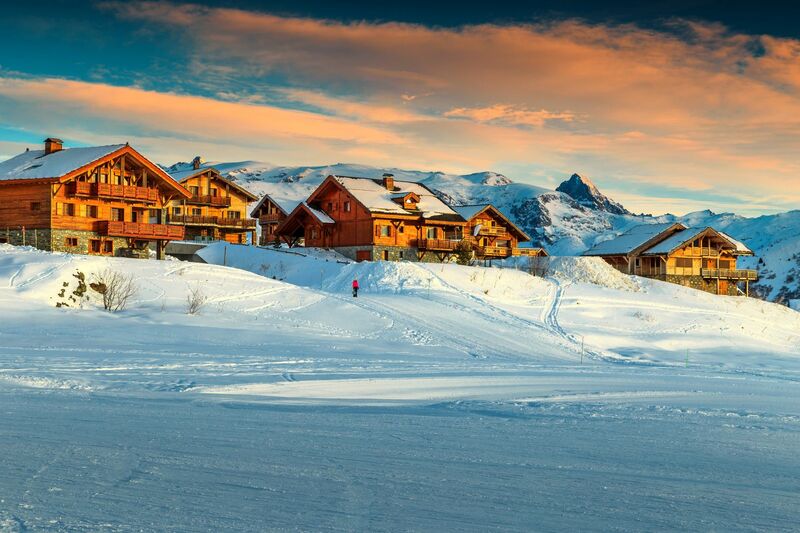 Of course, in winter tourists flock to the ski resorts of Alpe d'Huez, the 3 Vallées ski zone comprised of Courchevel, Méribel and Val Thorens, and the elegant and chic Megève. 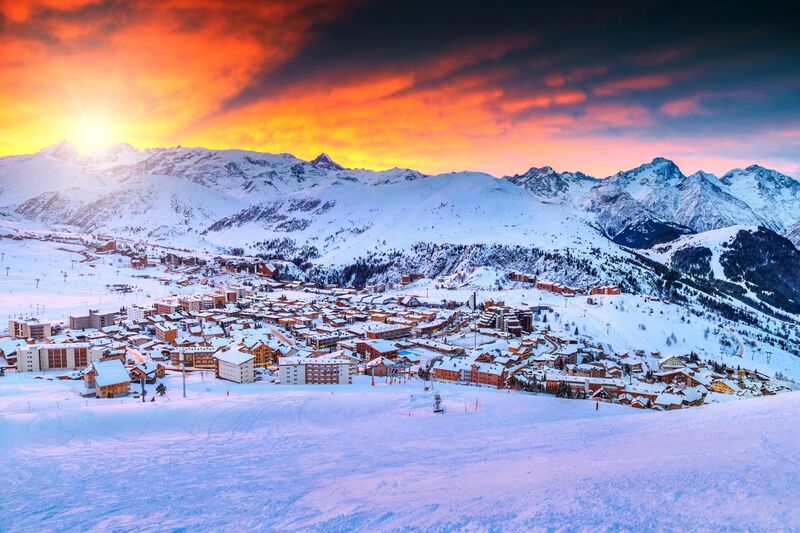 If you aren't deterred by the rather harsh climate of the Alps in winter, we recommend you hurry up and make your booking far in advance to make sure you don't miss out on some ski-filled holidays. Find weekly weather forecasts for Rhône-Alpes . Different criteria make it possible to predict with precision the best time of year to go to Rhône-Alpes . A comprehensive weather score, made up of temperature indicators, bad weather predictions, sunshine levels and wind speeds, will allow you to choose the activities best suited to the weather conditions and therefore make the most of your holiday in Rhône-Alpes . Our journalists' reviews for you 44 hotels France . Take a look at our hotels, their facilities or their value-for-money score according to your departure dates so that we can find the best offer to suit you France . Book a hotel France it's never been so simple !